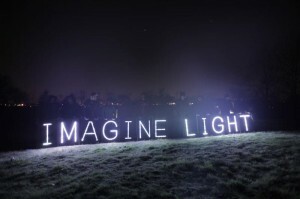 Home > 2014 > July > Vote for the Overpass Light Brigade in the 2014 PBS Online Film Festival! The Overpass Light Brigade shared their amazing art and organizing talents during GCC ED2MD 2014 and there are so many moving images that were shared by OLB chapters from across the country and from around the world! Their efforts supporting People, Planet and Peace over Profit were an important convergence of art, culture, imagination and light while discussing real solutions to the problems we all face. Now you can support the Overpass Light Brigade and their continued work by taking a moment to VOTE for their film in the 2014 PBS Online Film Festival! Each person can vote once each day, so visit back often and share with your friends and family. The film is just over 6 minutes long and features time-lapse photography as well as interviews with founding members (including an interview with Lane Hall who worked closely with the Global Climate Convergence during Mother Earth Day to May Day) and other holders of the light. The festival consists of 25 films and ends July 31. Read more about the film and the filmmakers by visiting the PBS Online Film Festival website.